A sparkling clean coffee pot and coffee maker is sure to bring a smile to your face when you start that first pot of home brewed coffee in the morning. Unfortunately, no matter how often you wash the pot with regular dish detergent and hot water, hard water will leave unsightly deposits that turn brown or black when left with a little coffee in the bottom of the pot. Removing the stains is easy with common household products. Clean the coffee pot with table salt and ice cubes. Pour 1/4 cup of salt into the container and add six to eight ice cubes. Swirl the pot in a circular motion. The salt will begin to melt the ice and stick to it. As you swirl the pot, the ice and salt will work as an abrasive lifting the stain from the pot. This works great for burned on coffee stains as well. Remove hard water stains and buildup from inside the coffee maker by pouring 2 cups of distilled white vinegar in the reservoir. The vinegar dissolves the hard water deposits and rinses away stains. 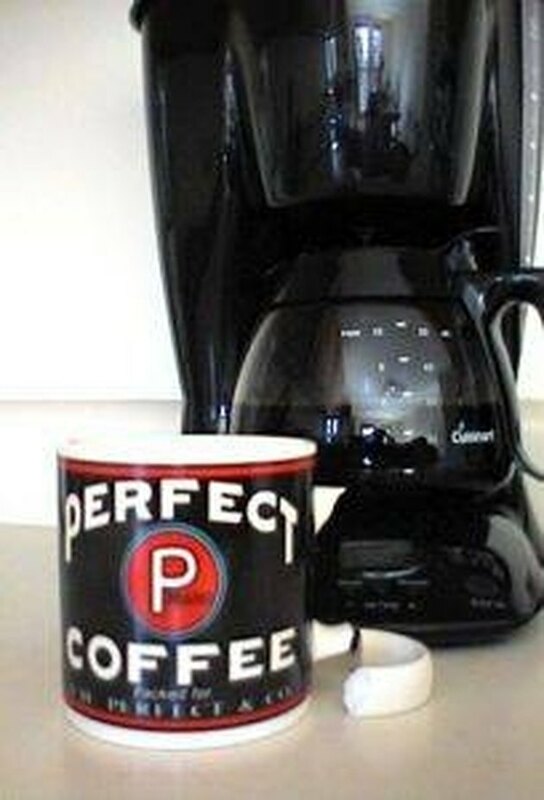 Turn the coffee maker on and allow it to run through a brewing cycle. When it completes the cycle, empty the pot and scrub it lightly with a kitchen scrubber. Rinse to remove residue. 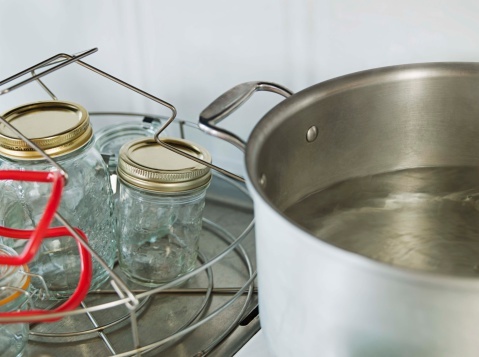 Fill the reservoir with a pot of cold water and run it through another brewing cycle. This will rinse away any traces of vinegar or residue left from the initial cleaning. Rinse the pot and wipe it dry. Wipe down the outside of the coffee pot and the maker with a paste of baking soda and water to remove any traces of hard water deposits or stains. Rinse with cold water and dry it with a soft cloth.